*My daughter Nixi and I made our maps according to instructions in the book **(see instructions at bottom of this post), then we gathered up some odds and ends…sparkly treasure, bundled it up in a paper towel, and buried it out in our yard where ‘X’ marks the spot on our maps. I spray painted an X where we buried our treasure, and when my husband (Daddy) got home from work, he and Nixi hunted the treasure. We Spiced Things Up a Bit by Making One Map a ‘Trick Map’! Juice your lemon, then dip your cotton swab in the lemon juice, then ‘paint’ your map. Steady as she goes, since the ink disappears rather quickly. Place your map onto a cookie sheet and place in a 400 degree preheated oven for 30 minutes. Careful when you take it out, it’ll be hot! Gather your treasure, bury it, mark the spot with an X, and let your littlest Pirates (or the bigger scally-wags) hunt for the treasure. Fun all around! Categories: Home School Activities, Home School Science, Home Schooling An Only Child, Homeschool Families, Homeschooling, Homeschooling Activities, Science Experiments, Treasure Hunting, Uncategorized | Tags: Buried Treasure, Family Fun, Home School, Home School Science, Homeschool Adventures, Homeschooling, Invisible Ink, Lemon Juice, Only Child, Science Experiments | Permalink. A day in the life of a seven year-old may not seem like super excitement to some, but yesterday, to my Nixi, was a blast! Yes, the day might’ve started out quite mellow — me singing her Happy Birthday when she awoke — but by day’s end, at the Joe’s Crab Shack restaurant playground, the running, playing, jumping, and laughter was oh-so abundant. It was a last minute plan that sort of just hit me the day before Nixi’s big 0 7 day. And contrary to what a lot of folks believe — that homeschool kids are introverts who have trouble making friends — my Nixi makes friends where ever we may go. She has a few kids she has bonded with and calls best friends. I knew I had to invite them, and I was delighted to hear they could make it. Nixi didn’t know, and I could hardly wait to surprise her. So…the day moved on (tick-tock), and I created party favors on a shoe-string budget…while still trying to keep it all secret from my very observant young’n. I skirted around the truth when she quizzed me on what the jars were for, that I was painting outside. She wanted to come help, and it was hard to not let her. But the chemicals I had to use for the project weren’t safe for her to be around. Needless to say, I finished the party favor jars (made from recycled/reused Starbuck’s Frappuccino bottles), Nico picked up a few balloons and the cake, and we were off to destinations unknown to Nixi. The party was a HUGE success, even though a few friends couldn’t make it, and I knew our daughter would remember this birthday for years and years to come. –Perhaps a lifetime. Categories: Activities with Kids, Birthday Parties on Galveston Island, Budget Friendly Birthday Parties, childhood innocence, Dining Out in Galveston, forever young, Home School and Making Friends, Home School Moms, Homeschool Families, Homeschooling, Homeschooling Moms, Kid Friendly Restaurants Galveston Island, Kids Activities, Learning through Unschooling, Pirate Ships, Playground, Restaurant Playgrounds Galveston Island, Uncategorized, Vacation in Galveston | Tags: Birthday Parties Joe's Crab Shack, Birthday Parties on Galveston Island, Friends Home School, Home School and Social Behaviors, Home Schooling and Friendships, Joe's Crab Shack, Making Friends and Home Schooling, The Social Home Schooled Child | Permalink. In my last post, I wrote briefly about this past weekend…when we attended the Children’s Festival down in the Strand District. It’s a really fun time for kids of all ages, and very family friendly. Best of all, the festival is FREE! And even though this was our first year to attend, we certainly don’t plan on it being our last. In the meantime — I wanted to share some of the fun moments from this past festival. The numerous booths and activities were enough to keep us busy for the entire weekend; though the event is only for one day. The learning experiences that Nixi was able to be a party to, I feel, will stay with her for years to come. As for me…? I realized I’m absolutely no good at hoola-hooping, but I can still do the Lemon Twist; or an updated version of the old classic jumping toy I used to love as a kid. It was great to show my husband and child, that this middle-aged Mamma can still ‘cut-a-rug’. I look back on it, and I have to laugh. –As I feel I’ll do…for years to come. Categories: Activities with Kids, Discovery, Family Friendly Free, forever young, Free Festivals, Home School Activities, Home School Moms, Homeschool Families, Homeschooling, Homeschooling Activities, Homeschooling Moms, Inner Child, Jump Rope Fitness, Kids Activities, Late In Life Parenting, Learning through Unschooling, Lemon Twist, playtime, Post Forty Parenting, Reprimanding Others' Kids, Simple Things in Life, Staying Fit, Staying Young, The Simple Life, Uncategorized | Tags: A time of wonder, Family Friendly Fun, Fitness with Kids, forever young, Free Activities for Kids, Free Activities on Galveston Island, Home School Field Trips, Lemon Twist, Mid Life Dads, Mid Life Moms, Mothers & Daughters, Parent Child Fitness, Parenting 40, Staying Fit with Jump Rope, The Grand Children's Festival | Permalink. I’m always trying to come up with new ways to exercise my daughter’s creativity. Being that she is six years old, she has a lot of input when it comes to our zany creations. One thing’s for sure — we always have fun coming up with new ideas. I had been trying to think of a fun art project we could create from my Nixi’s hand and foot prints, but ‘the light bulb’ had continued to elude me. Finally, last week, the ‘light’ lit-up brightly above my head, and this Hand & Foot Print Family Tree was the result. Using Nixi’s foot print as the trunk of the tree (which had to be painted, since we had no brown construction paper), we traced and cut enough of her hand prints from green construction/art paper, and labeled each hand (or, should I say ‘leafy tree branch’) with members of our immediate family from both my side and her dad’s side. One thing I would have done differently — and might still add to the tree leafs later — is to also write the names of Mom, Dad, Bubby, Sissy…Grandma, Grandpa, etc, instead of just their call-names. It’s really no big deal if you do or don’t add real names to your leafs, because — as in our case — you can always go back and do it later. These improvisational art projects are pretty flexible that way. On that note, we were very delighted with the outcome of our family tree creation. So, however you wish to carry out your process, you’re sure to have oodles of fun with your child…or children, and grand-children, too. I hope it inspires you to find new and different ways to create family keepsakes with your home schooler. Thanks for stopping by. : ) Please comment and share your ideas and creations? We can all learn from each other. Blessings and .V.. (Peace), to you and yours! VOILA…!!! Here is our finished result! We couldn’t be more pleased with our hand and foot print family tree. If you date your creation, you can always see how big your little one was at any age. It’ll be a wonderful keepsake-memory…always. Categories: Activities with Kids, Discovery, Family, Family Tree, First Year Homeschoolers, Foot Print Art, Fun Art for Homeschool kids, Hand Print Art, Home School Activities, Homeschool Families, Homeschooling, Homeschooling Activities, Kids Activities, Learning through Unschooling, Post Forty Parenting, Priceless Moments, Simple Things in Life, simplicity, The Simple Life, Uncategorized | Tags: Creativity at Home, Cut, easy kindergarten projects, Family Tree, Family Tree from Hand and Foot Print, Foot Print Art, Glue, Hand Print Art, Home school art, Home School art projects, Homeschool art, kindergarten, learning through art, making a family tree, mother and daughter time, Paint, Projects for Homeschoolers, time is priceless | Permalink. Earlier this year, I attended my first ever vision-board workshop here on the island…at an art studio down in the Strand District. I so thoroughly enjoyed meeting the nice ladies there, sharing our visions about the life we hoped to inspire through art…the lives I-for-one, hoped to find. My visionboard still hangs on my wall, where I can see it every morning when I wake up. To look at it gives me insight into my desires as a woman, as a mom, as a wife. Some months later, entering my first ‘official’ year as a homeschooling mom, my vision board has also inspired to create one with my five-year-old. Sitting down at our dining table–the desk we use for studies, art, and games–I provided my daughter with foam pads (the size of a sheet of paper) of her color-choice, her Fiskars, Elmer’s Glue, and several family and travel magazines. Guiding her through the process at first, I smoothly backed off and let her take charge of her own visionboard creation. 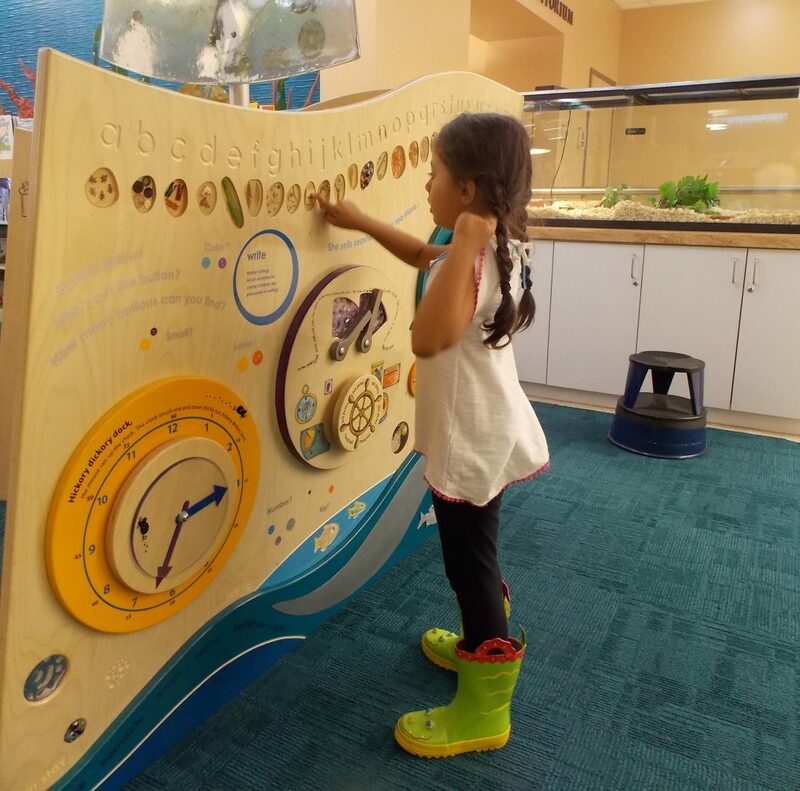 As I looked-on, I watched the secrets of her little mind spill-out onto her blue foam boards (she chose to do two boards instead of one), and I was delighted to be invited into my child’s mind…her thoughts, choices, and dreams. In the end, when the glue had dried and we had shown Daddy when he arrived home that evening, I felt like I knew my little one much better than I had when we woke up that morning. I felt I had discovered a hidden door into my daughter’s mind. It was a win-win for me as a homeschooling mom, grasping at new and productive ways of ‘teaching’ without really teaching. 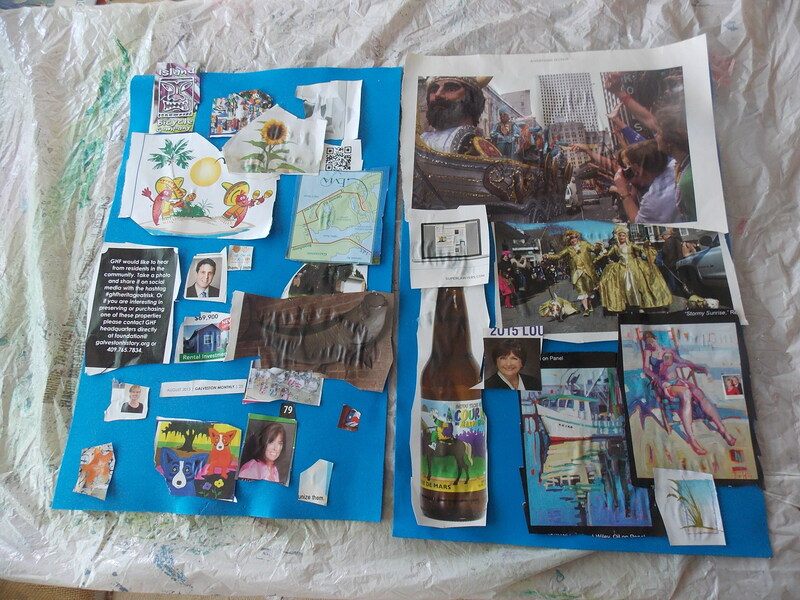 Vision boards with your homeschoolers? It will remain a fun activity for me and my homeschooler for years-to-come. Try it with your child. You’ll be so happy with your discoveries…and wonderful memories made together. Categories: First Year Homeschoolers, Fun Art for Homeschool kids, Getting to Know Your child, Homeschool Families, Homeschooling, Homeschooling Activities, Homeschooling Moms, Visionboards | Tags: Childhood Discoveries, Fun Art for Homeschoolers, Homeschooling, Homeschooling Projects, The mind of a child, Visionboards | Permalink.